The 17th century receipt (recipe) for A Potato Pie for supper reads Take three pound of boyled and blanched Potatoes. 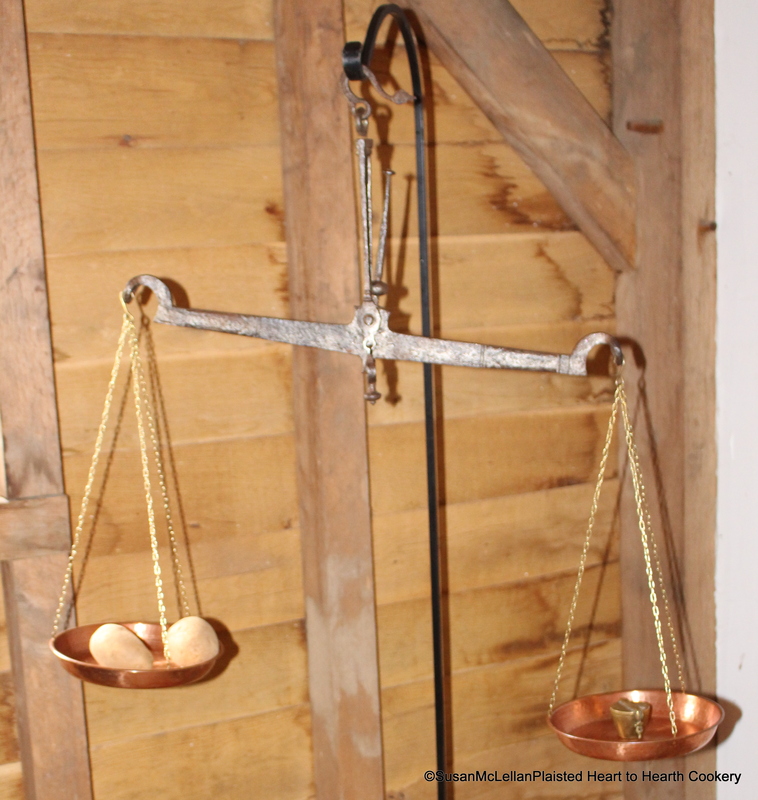 Potatoes for the receipt are being weighed one pound at a time on the balance scales. Your scale is lovely! I’ve been looking for one for a very long time. Do you mind if I ask where you got it?